Check out our Seasonal Special and be prepared for summer or winter travel. Do you have any questions about your vehicle? Let us give you the answers to common problems with our online form and frequently asked questions. Does the idea of Worry Free Driving peak your interest? Along with Custom Auto Carriers, we have formed our 'Automotive Maintenance Program'. Our shop is fully equipped with the highest standard and well engineered equipment; tire changes, car lifts and other automotive related products to help us with a variety of projects. At Bruce Stewart’s Auto Repair Centre in Edmonton, our service program is designed to provide customers with worry-free driving, a better trade in value, and lower repair and maintenance costs for services that include oil change, tire repair, wheel alignment, and brake repair. We offer only superior quality auto parts that exceed the manufacturer’s original equipment specifications. When it comes to auto repair, Edmonton drivers can trust our team to do what's right for their vehicles and their wallets. The wide range of services performed by our technicians, including tire repair, wheel alignment, and brake repair, are billed out at an hourly rate. For the total labour costs, this is either calculated using the actual hours spent on the repair or determined by referring to an industry approved time guide for each job that we do. The validity period for all parts/labour guarantees is at least 90 days from the date of initial service. The extended or lifetime guarantees offered by suppliers are also honoured. We offer a great experience for people of all ages who are interested in learning more about maintaining their vehicle. This once-a-month, 3-hour course helps you save money and avoid common problems associated with your vehicle. We invite you to come to our Edmonton shop to learn the basics of automotive maintenance, as our skilled and professional staff will share useful vehicle information, including how to identify the early signs of a problem. Become a more informed driver with our help! While you can depend on our experienced team to provide quality service for things like oil changes or wheel alignment, Edmonton drivers benefit in more ways than one when they're better informed about their vehicles and what they require to keep performing as they should. Road Side Assistance, Vehicle Inspection, No Charge Oil Changes, Boosting, Flat Tire Changes, Gas Delivery, Towing....etc. Call us today at 780-465-2783 for more information on an annual membership or if you'd like to book an appointment for one of the many services we provide, from an oil change or fuel system service to a tire repair. 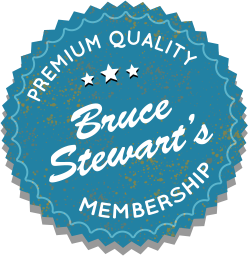 Edmonton’s car owners drive with greater confidence when they have Bruce Stewart's Auto Repair Centre on their side!